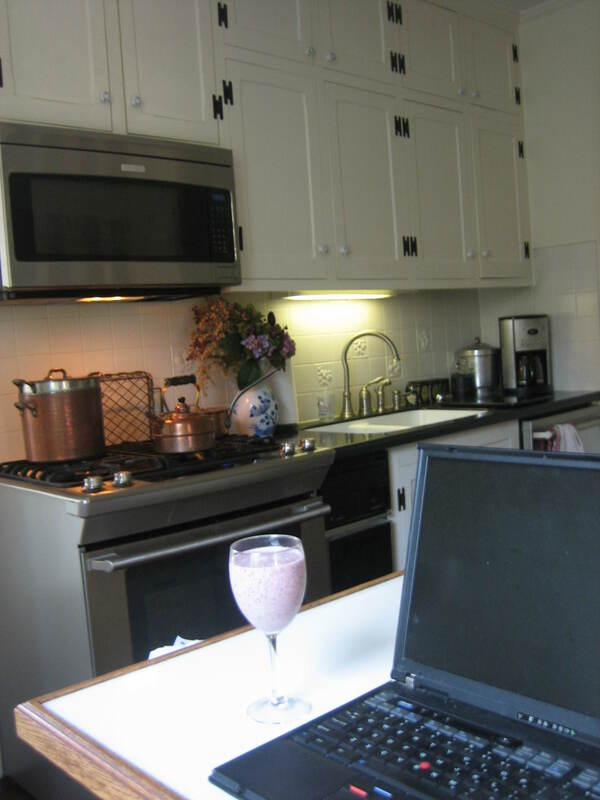 Here I sit, in my kitchen at my laptop, wondering what we should talk about today. I have a smoothie at my side. It’s a delicious and nutritious Summer drink. My smoothie today consists of yogurt, bananas, grape juice, strawberries and blueberries. 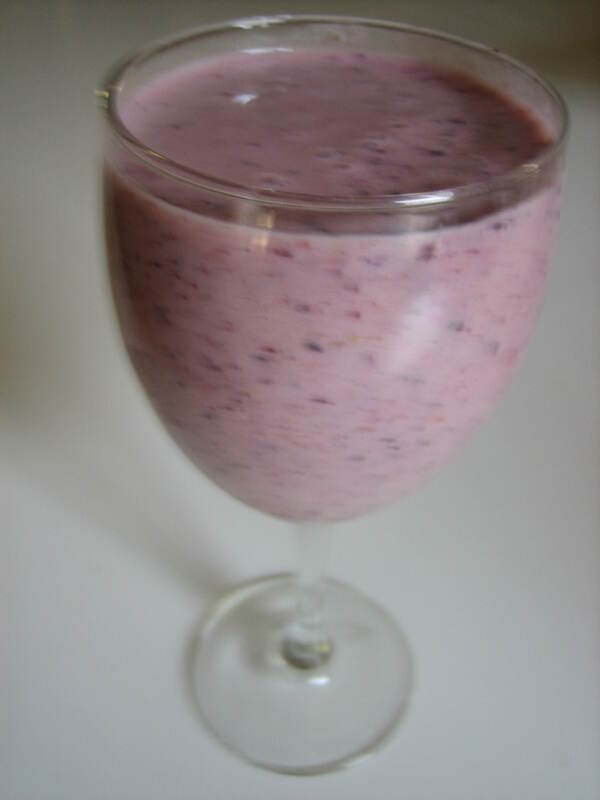 A quick spin in the blender and I have an easy and healthful breakfast. Do you enjoy smoothies too? They say berries are so very good for us as is all fruit. I hope you’re enjoying a nice drink too as we spend time together today. It’s another beautiful day in Hudson. 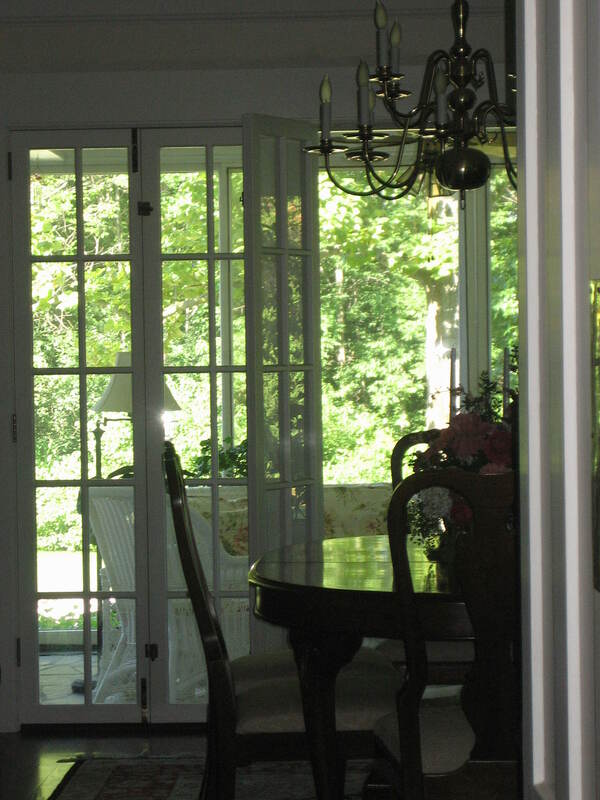 I’ve opened my kitchen doors so I can enjoy the fresh air and the beauty of nature as we visit. I make a point of using all the different rooms of my house. Do you? If I look straight ahead I have the pleasure of viewing a wall of green trees. They stand beyond our grounds past the dining room and porch. Nature is so tranquil and refreshing. The music I’m listening to is also tranquil and refreshing. 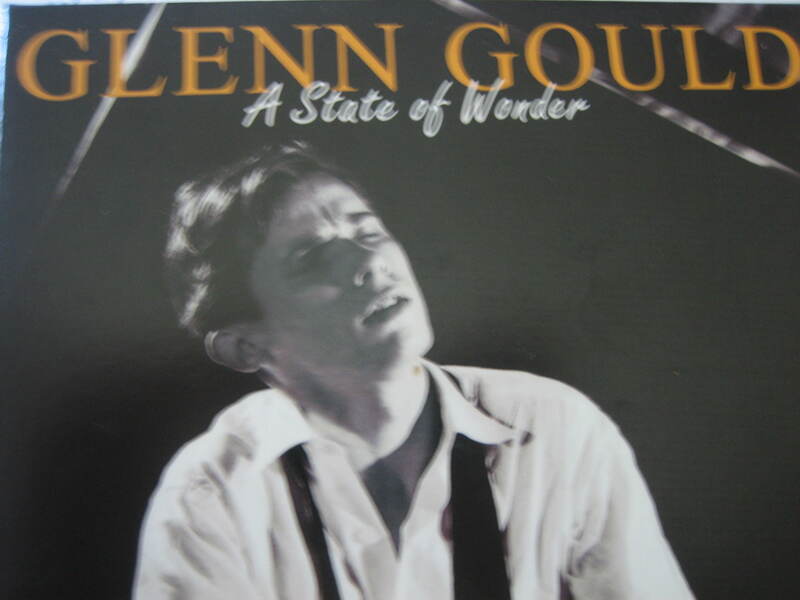 It’s a cd of Glen Gould playing Bach’s Goldberg Variations. In this, my romantic old world setting, it’s easy to get lost in all sorts of lovely romantic ideas and artful activities and as you might guess The Art of Letter Writing is my favorite artful activity. With a beginning like that I wondered how interesting the letter would be, (Important nothings?) but her letter really was quite interesting, and one of the interesting things I learned from her was that those opening words were first written by Jane Austen to her sister Cassandra. My pen friend read and liked Jane’s words so she now uses them in her own letters. I bet Jane is flattered up there in heaven that people aren’t only reading and enjoying her books, but they’re also reading, enjoying and sharing her letters. My pen friend’s idea to borrow Jane’s words really charmed me. Here’s another thing that charmed me. 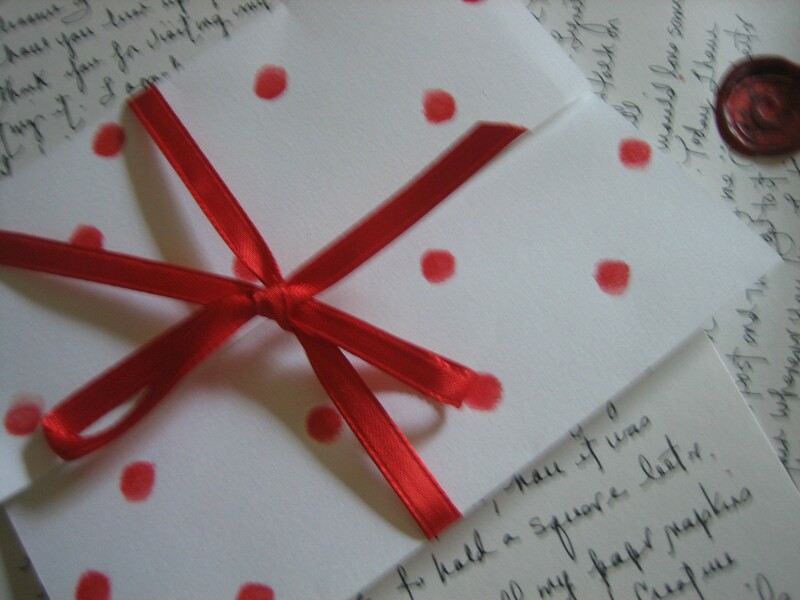 It was a beautiful letter from my pen friend Gwen. Gwen lives in Ohio not too far from me, but we’ve never met in person … not yet anyway. 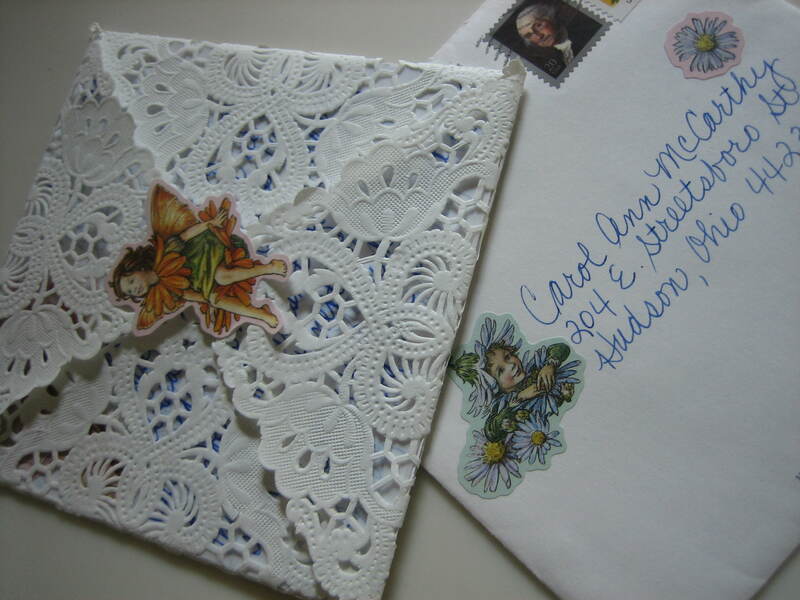 How would you like to receive such a pretty letter in your mail box? I bet you would. I could just imagine Gwen’s creative mind working overtime when she discovered this pretty paper napkin with all its lovely cut work. Gwen likes fairies too. She told me she has created a fairy garden in her yard. (Gardeners know fairy gardens are quite the thing these days.) So Gwen took one look at the shape of this pretty napkin and decided she had to use it for a letter. 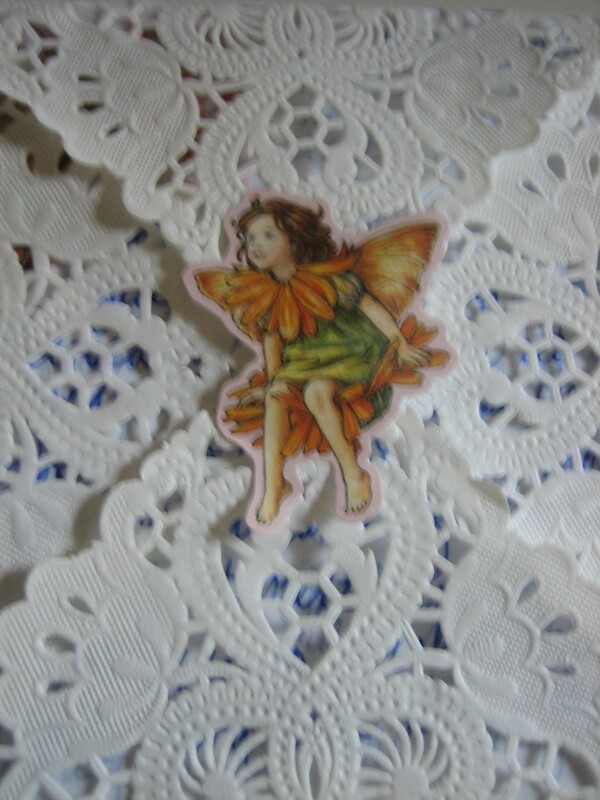 She fit letter paper within its square center using a fairy sticker to create a cute little letter package. So sweet! 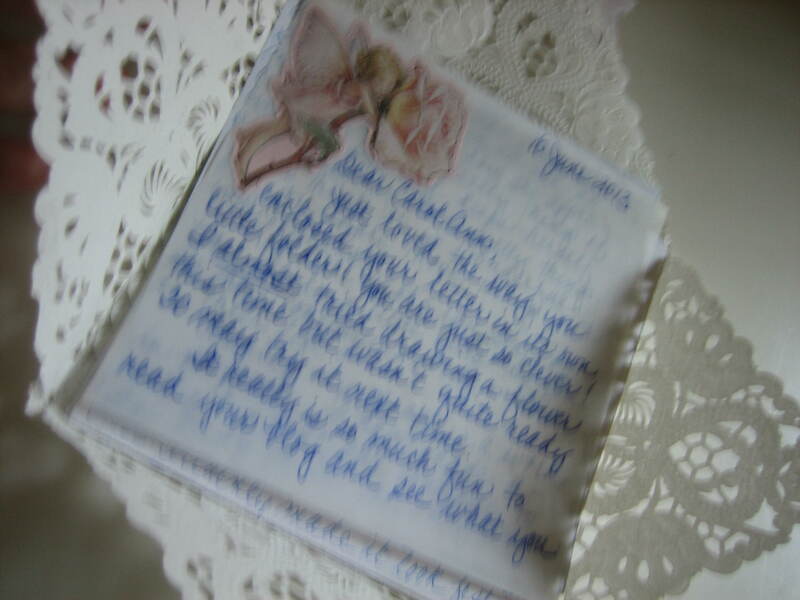 More fairies adorn each page of Gwen’s letter, and her neat handwriting and cheerful, positive thoughts combined to create a most beautiful and uplifting present (the gift of a letter) which added immeasurably to the delight of my day. And so speaking of the crunch time places on us, I must run along and attend to some music planning for the children’s choir I direct. But I’ll be back with you for another visit before you know it because sharing doubles my joy and I hope my sharing adds to your joy too. Oh, I am so excited about seeing/reading your lovely letter!! Thank you for the kind comments regarding one of my letters. Your blog is absolutely wonderful! 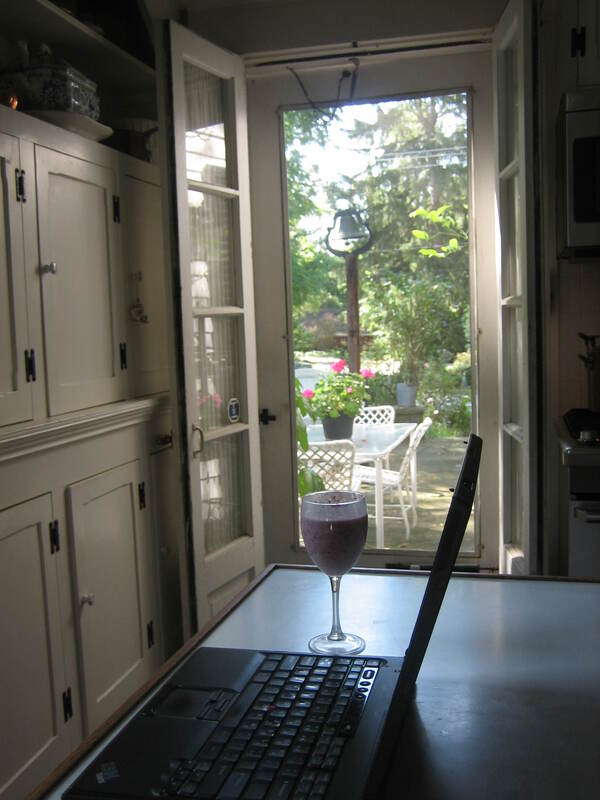 I so enjoy seeing your lovely home and especially where you write. Also, I enjoy the trips you take us on and being able to see some of the creative letters from your other pen friends. And I am so excited to see comments from very lovely people like you. Sharing doubles the joy but only if we have nice people with whom we can share. Thank you for being there for me. You can say that again and Gwen would love your beautiful letters too. Thank you, Mikaeta, for your kind comment.